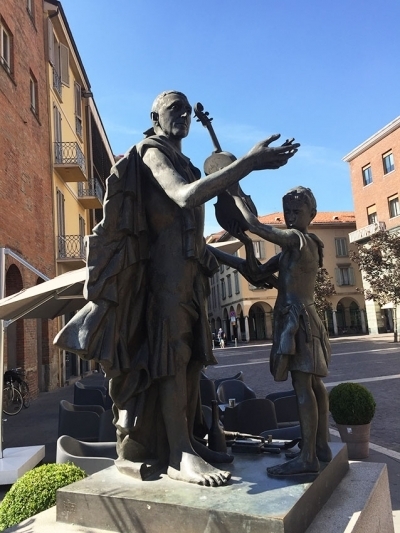 While it may not be among the top Italian tourist attractions, the city of Cremona is well known worldwide due to the role it played in the history of classical music. For Cremona is without a doubt the City of Violins. Just imagine that Amati, Guarneri, Stradivari were the greatest violin makers of all times (so experts say) and they lived and worked here, in the place where time seems to stand still. A quiet town, an old place with an interesting past, and tradition says that the very first four string violin was actually built here, in 1555, by Andrea Amati. And it was just the beginning, for this town would be for decades and even centuries the world's capital of music (or so the locals would proudly boast). But is is true that the very best violins in the world - and surely the most expensive - were made here, the Stradivarius violins, and one of these could easily bring several million dollars. In fact, in the summer of 2011, one Stradivarius violin was sold at an auction for no less than 9.8 million pounds. One can only wonder what the maker, Antonio Stradivari, would have to say if he saw such a record. And the musical industry is still thriving today, and it doesn't seem to really slow down. Starting with the 16th century this art and craft has been passed on from generation to generation and is more than the local main occupation. It is a passion. An art form. Nowadays in Cremona you can find about 100 violin workshops, many very, really old. But Cremona is interesting not only for music's history, but also due to it's medieval character and architecture, surprisingly well preserved. 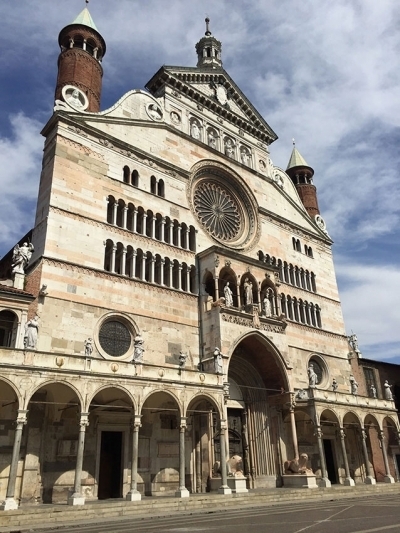 Most of the interesting landmarks are about the central plaza, Piazza del Comune, where you can begin your discovery of Cremona with a visit to the cathedral, a Gothic building, more than eight centuries old. Not far from it there is the tallest brick tower in the world, Torrazzo, 111 meters high, itself being completed in about 1309. Also, Cremona doesn't lack a wide range of palaces, such as the Fodri Palazzo, the Stanga Palazzo, the Cavalcabo or the Affaitati Palazzo, many of those hosting small art permanent exhibitions.